Julie Light is a Texas girl with a lot of heart. And a lot of style. 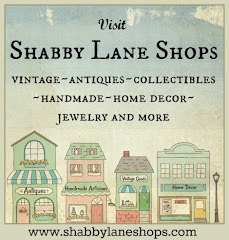 A busy mom who also loves to decorate her home, Julie has her etsy shop Fabulous Finds, she has a website, Fabulous Finds Boutique, she creates for Shabby FuFu and she writes her blog. Julie manages to find time to create her posh tags and cards and she also carries supplies in her etsy shop. Her Prima collection is delightful. wow, what a gorgeous etsy shop! Beautiful items - Congratulations on being one of the featured members. It is nice to see what everyone has to offer.